We could expect Ashley Madison to cross any limits when it comes to cheating, but this is WORSE. After all the revelations made by the Impact Team past week, this was something different from the leaked data that had names, password and other details of Ashley Madison clients. A dump from the leaked files unfold awful strategy of Avid Life Media (ALM), Ashley Madison's parent company, to launch an app called "What's your wife worth." 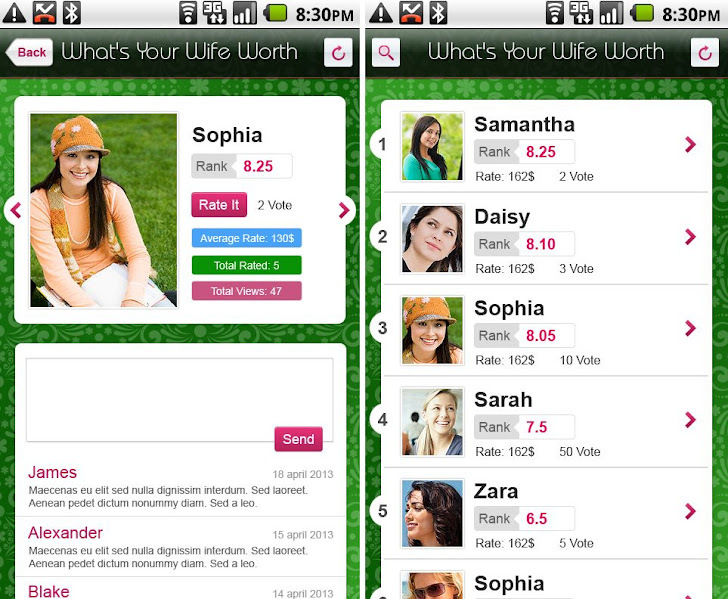 As the name says it all, the app allows men to Rate each others Wives. 'What's your wife worth' was discovered in a June 2013 email exchanged between Noel Biderman, ALM's chief executive and Brian Offenheim, ALM's vice president of creative and design, which said that Biderman suggested Offenheim about the probable outlook of the app. He suggested options like "Choice should be 'post your wife' and 'bid on someone's wife'," also mentioning: "I am not sure we should be asking for real names—rather usernames." Though Biderman liked it, somehow the app's development was not completed and the idea was dumped, as one of Biderman's colleagues referred the concept as horrible in the emails. We are in a dilemma - whether the person referred to app's development as horrible or the idea behind the thought of developing such an app! There were more than 197,000 emails that were leaked from Biderman's inbox by the hackers calling themselves as the Impact Team last Friday. Besides this the hackers released personal information of more than 33 Million Ashley Madison accounts. Which led to suicides as well.